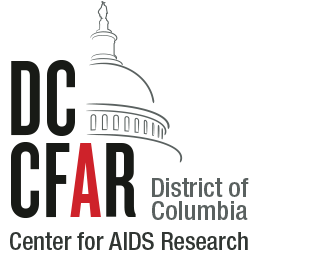 Funding for the DC CFAR is dependent upon the continued demonstration of its support for HIV/AIDS research and associated outcomes, such as publications, presentations and new grants. Accurate and complete reporting of all publications that properly acknowledge the CFAR is critically important to our grant. The DC CFAR would be grateful if investigators would acknowledge the DC CFAR if your work has benefited in any way from an interaction with one of the CFAR Cores or investigators, including funding, consultation, mentorship, research support services, materials, training or access to equipment and/or space. Click on the below tabs for sample language to use when citing the DC CFAR, information on how to make your publication available through public access, and for links to download the DC CFAR logo for use in posters and presentations. NIH policy requires all manuscripts resulting from DC CFAR funding to be compliant with the Public Access Policy. Please see tab 3 for the full NIH Public Access Policy. NIH policy requires that all papers that receive CFAR funding be made available through PubMed Central and receive a PubMed Central ID (PMCID) number. Resulting papers must also be linked to the CFAR award number, AI117970, in the NIH Manuscript Submission System. As a result of these requirements, please ensure that journals allow papers to be posted to PubMed Central before signing a publication agreement. Additional information on public access requirements is available on the NIH website. For more information on acknowledging the DC CFAR or the NIH public access policy, please contact Alia Murphy at [email protected]. Please download the DC CFAR logo and use it on your materials to acknowledge support from the CFAR. Please also note that award recipients are required to use the DC CFAR logo on all presentations and posters.